…you genuinely want to improve the lives not just of your customers but also of your staff who serve them. …you know that the most important part of the last mile of distribution is the ‘last meter’ – what occurs in the three feet, three inches separating the seller and the buyer. …you are committed to make whatever changes are required so that the mission of your organization – to serve those in need of care, education, rehabilitation, food, a chance to live a full and productive life – can be fulfilled. Here is what we’ve learned about a new paradigm for selling and some guidance on putting it into practice in your organization. In 2009, W. Roy Whitten Ph.D and Scott A.Roy wanted to create a sales consultancy grounded in our decades of collaborative experience with sales, sales management, and transforming human performance. They wanted to work with committed clients in a context free from compromise and excuse, and, with them, to generate real, measurable change in their sales results, their relationship with their customers, and their relationship with their sales teams. Their original intention was to have a small, boutique business, serving a few clients in both the western commercial and developing worlds. However, because their clients experienced significant improvements in sales, which included winning a few international awards, Whitten and Roy realized a dramatic increase in requests for their help. So, in 2013, they decided to scale their business and to expand their impact. They created the WRP Academy for consultant development to develop their internal capacity to deliver the highest quality consulting that transforms sales performance. Today Whitten and Roy Partnership specializes in serving socially-minded organizations a broad variety of clients from over 40 countries, many different industries, and many different sizes. They work with global multinational giants to the tiniest startups who want to change the world. Most sales training focuses on skills and techniques. Elements of the ‘selling process’ are dissected into pieces, and then tips and tricks are provided for its various parts: account planning, lead generation, cold calling approaches, open and closed questions, presentations, and – everybody’s favorite – how to close. This approach starts in the wrong place: with content instead of context. It settles for improvement instead of aiming at transformation: a permanent change in perspective, purposefulness, and a release of natural ability that generates significantly stronger sales performance. So let’s begin with the mindset that drives the behavior of your salespeople. Have them answer the following question: When I talk to customers, what am I fundamentally trying to do? We have trained many salespeople in many countries and their honest answer to this question is nearly always: I’m trying to get them to buy what I’m selling. It’s logical. It undoubtedly meets with management approval. It’s not wrong, but it just isn’t right enough. There is a much more effective context for sales, a different place to ‘be’ when speaking to customers. Salespeople need to let go of getting customers to buy, and focus instead on increasing their decision intelligence, their ‘DQ’. IQ and EQ (intellectual and emotional intelligence) are well-known concepts. We coined the term DQ to refer to decision intelligence. We help our clients to make expanding customer DQ the primary purpose of their selling activity, whether it’s a B2C transactional sale in the developing world or a more complex B2B sale in the commercial sector. In DQ Sales®, as we officially call it, the seller is dedicated to helping their customer make the best possible decision for himself and his business, even if the customer discovers that the seller’s product or service is not what he needs. In this process, the seller leads the buyer through a series of steps, which deepen his understanding of two fundamental things: the problem he is trying to solve and the solution that will best solve that problem. Sometimes, achieving this understanding is straightforward and simple – in many transactional sales this can be accomplished in a short conversation. At other times – especially when the sale is complex – helping a customer develop sufficient DQ can take weeks or even months. d) the value this solution will bring them. In this way, the seller’s selling process is grounded in the customer’s buying process. 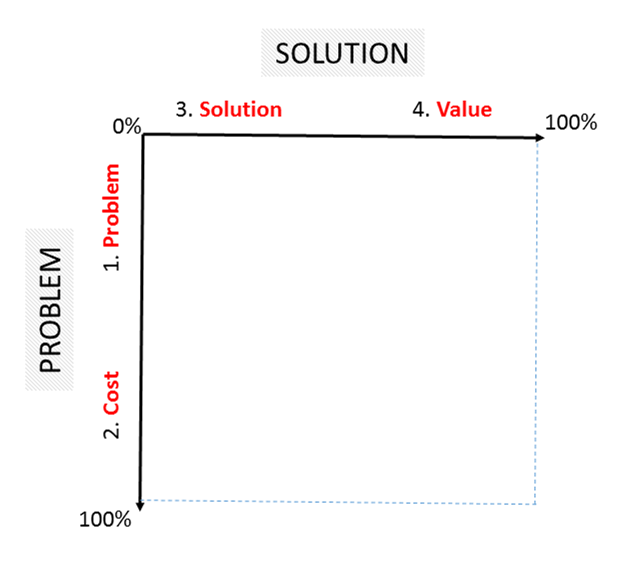 When a customer has a 100% understanding of the problem she is trying to solve, and a 100% understanding of the solution to this problem, she then has a DQ of 100%, and she can make the best possible buying decision. Their well-informed customers understand about 70% of the problem and a 50% understanding of the solution. Their less-informed customers are closer to 20% and 10% respectively. This means that even their best-informed customers come to the first conversation with an overall DQ of only 35%. The rest of their customers have a lower DQ, even as little as 2%! 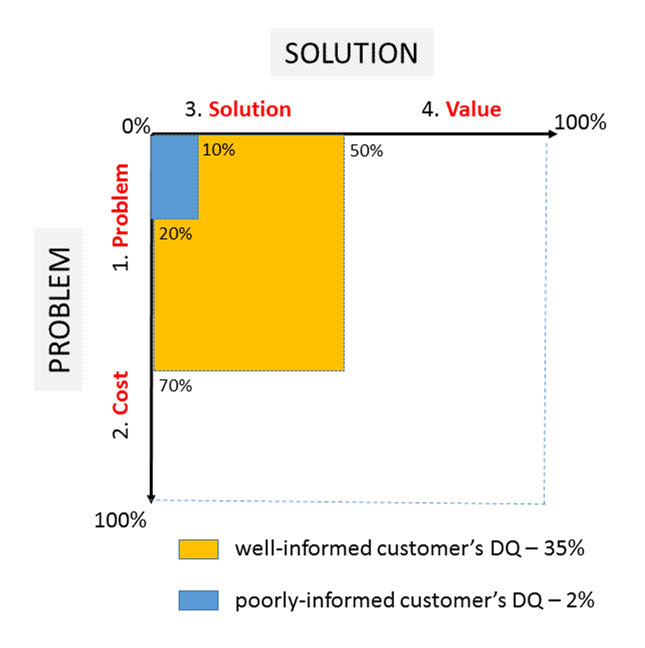 When customers have such a ‘DQ gap,’ they may actually resist learning what they need to know. Instead, they invariably fixate on the one thing they do understand, which is price. What does this require of everyone selling your product or service? They need to develop a selling process that develops the DQ of their buyers. They need to map the actions a customer must take to increase their decision intelligence, and they must make increasing DQ the focus and purpose of all sales conversations – to the ultimate end of helping their customer to make his best buying decision. Lead customers to explore their problems before talking to them about your solutions. Pitch less, listen more – save the demonstrations, slide decks and proofs of concept until it is clear which problems the customer is trying to solve. Become very skilled at helping customers calculate the cost of leaving things as they are. Applying DQ Sales® is simple but not easy. Don’t be discouraged. The effort is worth it. The sales cycle will slow down in the beginning stages but speed up significantly at the end. There are fewer objections and delays in closing, and increased customer trust of your salespeople. More importantly, for the long term, your salespeople will be proud of what they do, and they will do it in a way that represents your vision and mission. 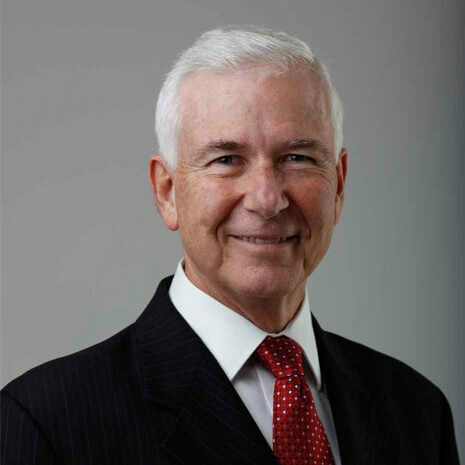 Dr. Roy Whitten and Scott Roy are the founders of international sales consultancy Whitten & Roy Partnership. Their company offers an ethical sales approach in the for-profit and not-for-profit sectors.